Superdry women’s Acid Wash cold shoulder jumper. 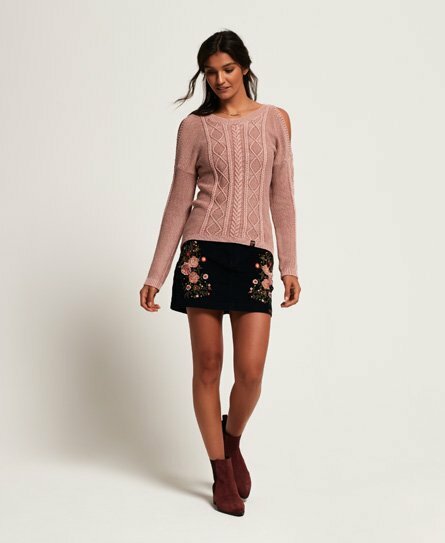 This cold shoulder knit jumper in a waffle knit features a ribbed crew neck, cuffs and hem, and a cable knit design down the front and sleeves. This jumper is finished with a Superdry logo tab on the hem.